British-Jamaican Reggae singer Bitty McLean will be hitting the road with Sly and Robbie & The Taxi Gang for the North American Love Restart Tour. Promoting the LP of the same name, it was released in August 2018 and the singer is itching to take the sound on the road. “Since the album was released, I’ve been getting some great feedback so I’m really excited to feel the live energy from my fans,” McLean stated. The LP was produced collaboratively through three labels – Taxi Records, Silent River and Tabou1. It consists of tracks, featuring Take My Heart, Broke My Heart, My Song, Babylon Has Fallen, War Is Over and Song of Songs. Starting in February the tour will take the artistes across several US states. These include Colorado, Oregon, Utah and Washington, with the majority of the shows taking place in cities across California. The tour continues from the Europe leg, which took place last year after the album’s official release. More shows are expected to take place throughout the year. Bitty McLean has been active on the scene since 1992 and is known for classic hits such as Nothing Can Change This Love, We’ve Only Just Begun, Dedicated ToThe One I Love and Walk Away From Love. 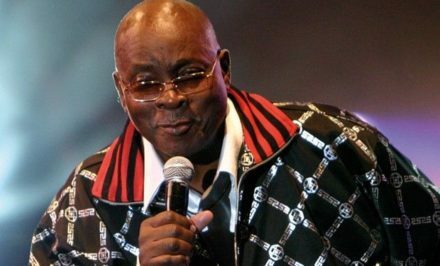 Forming a partnership with the Taxi label, his first collaboration with Sly and Robbie was on his 2009 album, Moving On. They also collaborated on The Taxi Sessions, which was a 10 track LP released in 2013. This was followed by Heart, Mind & Soul, a 6-track EP that was released in 2015. In addition, Sly and Robbie is still promoting their collaboration alongside Australian Reggae and Dancehall producer Jake Savona. Aptly titled, Havana Meets Kingston it is a compilation project that focuses on bringing the “best of both worlds” through the music cultures of, Cuba and Jamaica, something that has never been done before. The project features over 50 Cuban, Jamaican and International artistes such as Gaston Joya, Brenda Navarette, Julito Padron, Beatriz Marquez, Leroy Sibbles, Lutan Fyah, Randy Valentine, Micah Shemiah, Cali P and Glasford ‘Porti’ Manning & The Jewels. Tickets for the Love Restart range from US $32.50 to US $40.00 and can be purchased online. The artistes will be represented by their official publicist, Powerhouse Global Media’s Susan Smith. For all inquiries regarding shows, interviews and other appearances, send an email to powerhouseglobalmedia@gmail.com or call/ message 876-995-1211.